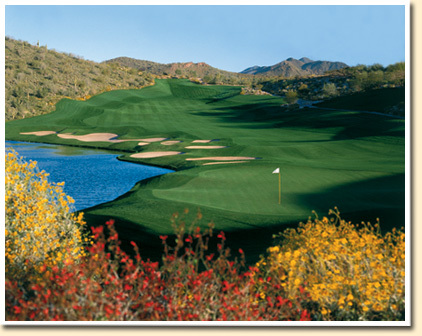 Eagle Mountain Golf Club will elevate your next group outing, tournament or special event. The combination of spectacular golf, exceptional value and expert tournament coordination will ensure that your next special event, group outing or tournament is a cut above. This premier facility boasts 18 holes of striking golf, a complete practice facility and MORE! Professionally managed by OB Sports Golf Management, Eagle Mountain Golf Club offers extraordinary group services in a stuning setting. Leaving nothing to chance, our expert event coordinators and staff of PGA proffessionals will work with you hand in hand to create and execute a successful and memorable event that will exceed your participants' expectations. Group and tournament green fee rates vary depending on the amount of players, season, time of day, etc. GOLF TOURNAMENT REQUEST FOR PROPOSAL. Eagle Mountain Golf Club has the ability to accommodate any size group from small corporate or private outings to full tournament groups of up to 144 players, even 288 players (with a double shotgun). Customized Food & Beverage options: Breakfast, Lunch, Dinner, Box Lunches, Post Tournament Awards Ceremony, Hosted Refreshment Carts and More. Premium Golf Shop Merchandise - Logo Caps, Shirts, and More - Great prize ideas! "We've played several courses this year for our club tournaments and Eagle Mountain was, by far, the most well run event all year." "Robb (Palmgren-Eagle Mountain's Operations & Tournament Director) was very helpful in making this tournament a true success!" "Great job to Robb & Staff! We had a great time!"